You can do a private placement of limited partnership units as a tax shelter under the provisions of this Offering Memorandum for Sale of Limited Partnership Units. The investment will qualify as a tax shelter, in accordance with the Income Tax Act (Canada). Any investment in the units should be considered as very risky, and should only be undertaken by investors who are financially able to risk losing their entire investment. 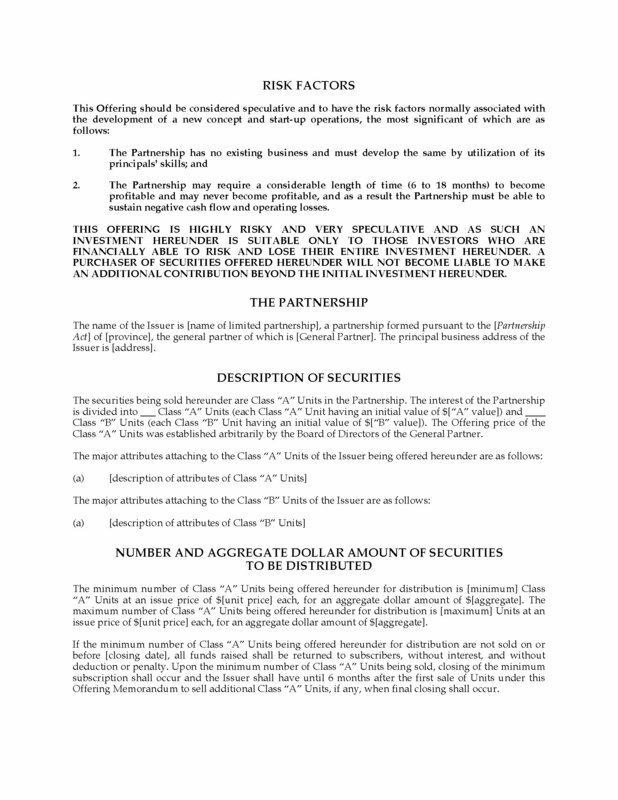 The offering is made pursuant to certain exemptions under the applicable securities legislation in the jurisdictions in which the shares are being offered for sale. 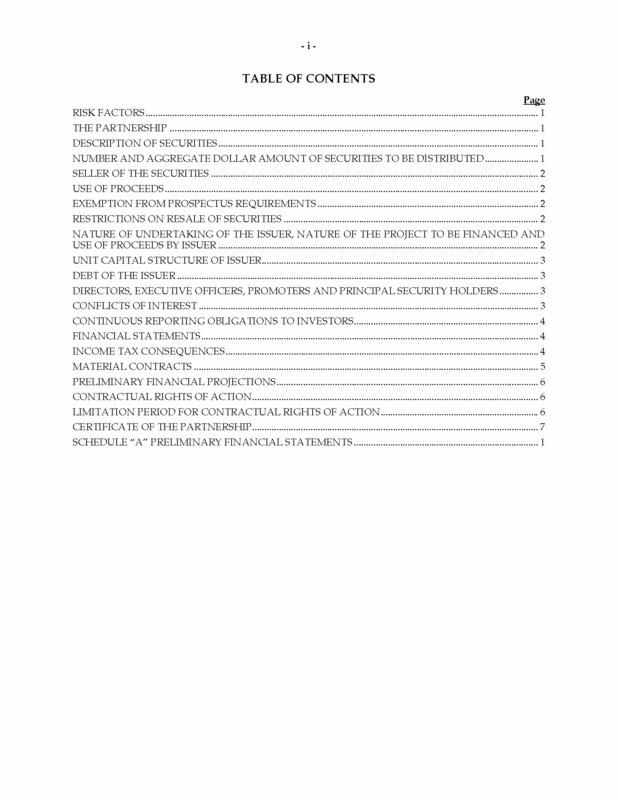 There are certain restrictions on the resale or transfer of the securities. 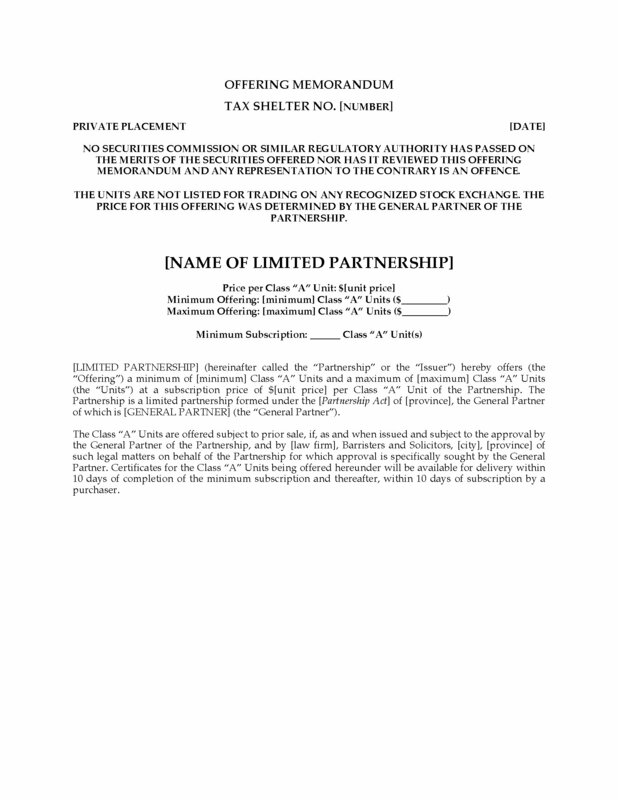 The template contains a section on income tax consequences of investing in a tax shelter investment. 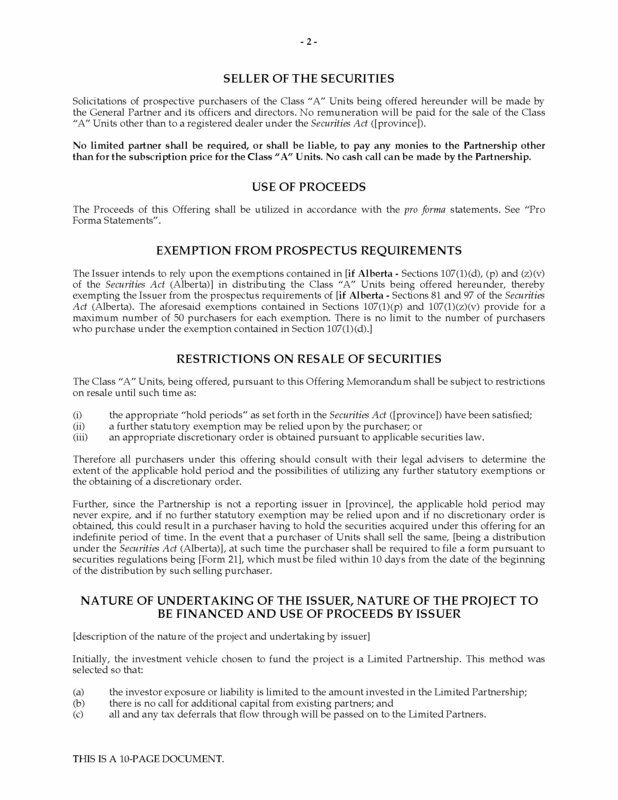 The Offering Memorandum takes advantage of the Income Tax Act's tax shelter provisions for Canadian investors. To get the digital file, add it to your cart and go through the secure checkout.